Gale Tibbetts, is a Caymanian artist and founder of Bee Line Designs. Gale handcrafts an exquisite collection of island chic jewelry. Her collection comprises of unique pieces made from Swarovski crystals, semi-precious gem stones, pearls and a selection of metals. The heart of her jewelry is capturing the essence of island life. She draws inspiration from the natural beauty of our island, the ocean and nautical themed pieces specific to the Cayman Islands. Gale has been designing and making handmade jewelry for the past 35 years. In addition to her collections, Gale is always happy to create custom designs and pieces. ’Tis the season to sparkle and look glamorous. 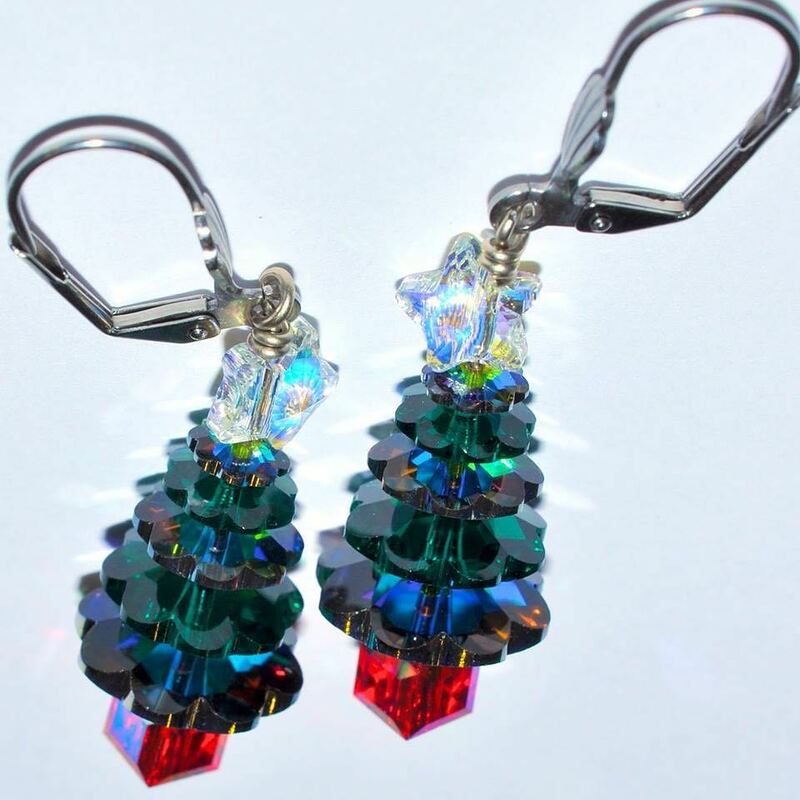 Gale’s signature holiday collection dazzles with Swarovski crystals. This limited edition designed just for the holidays features iconic holiday classics such as: Christmas Trees and Snowmen. Her craftsmanship reflects elegance and simplicity. 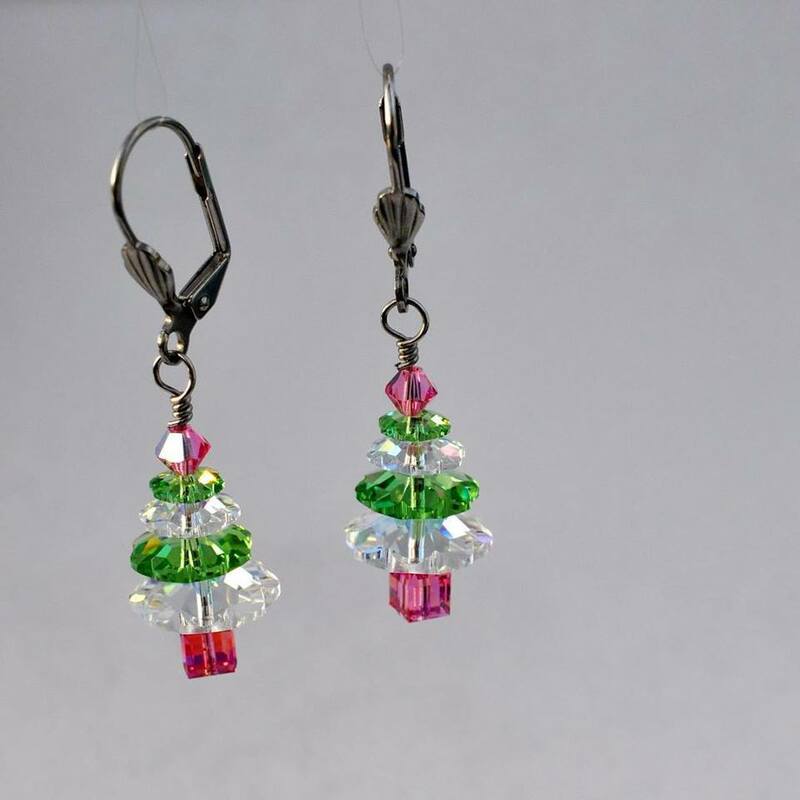 These holiday gems are the perfect accessory to wear for your upcoming holiday party. Gale’s island inspired collection is a nautical theme specific to the Cayman Islands. 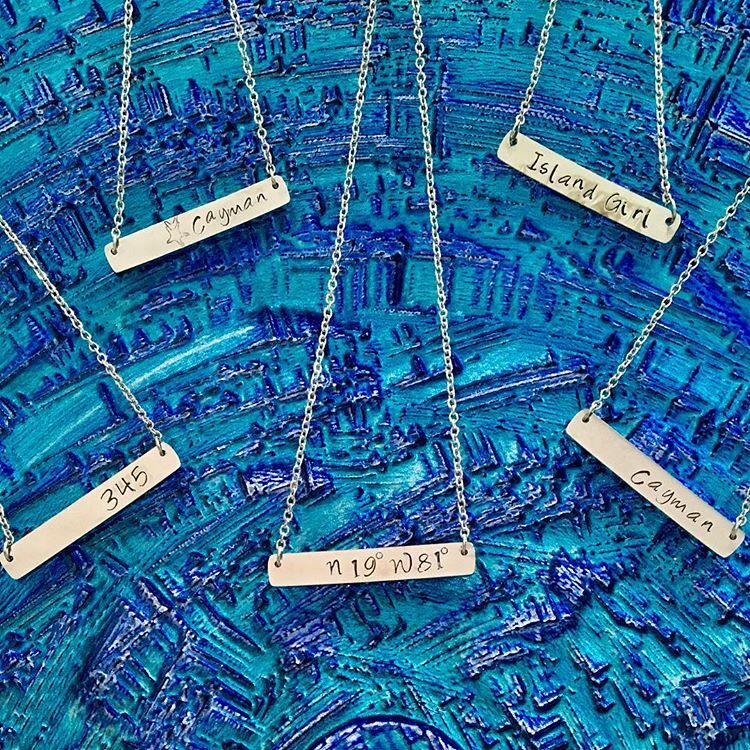 Popular pieces are both the necklace and bracelet with the coordinates of the Cayman Islands. Her map jewelry collection is made from a selection of reclaimed metals and handmade locally. These trendy charms are a wonderful gift for any island girl. 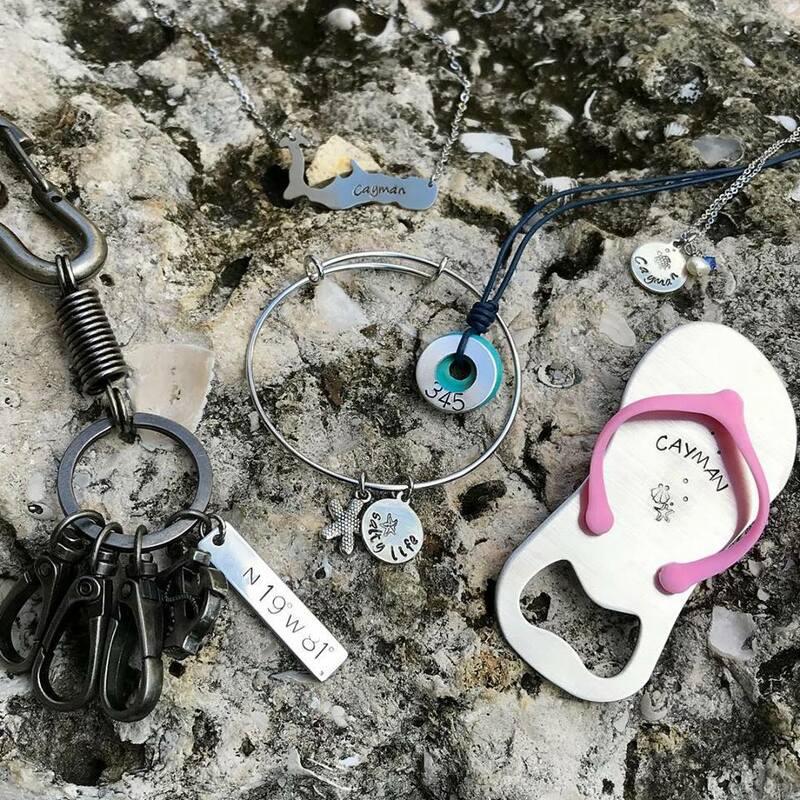 The map jewelry collection makes fabulous keepsakes for friends and family visiting the island— no matter where they are in the world they will always have their memories and a little piece of Cayman. 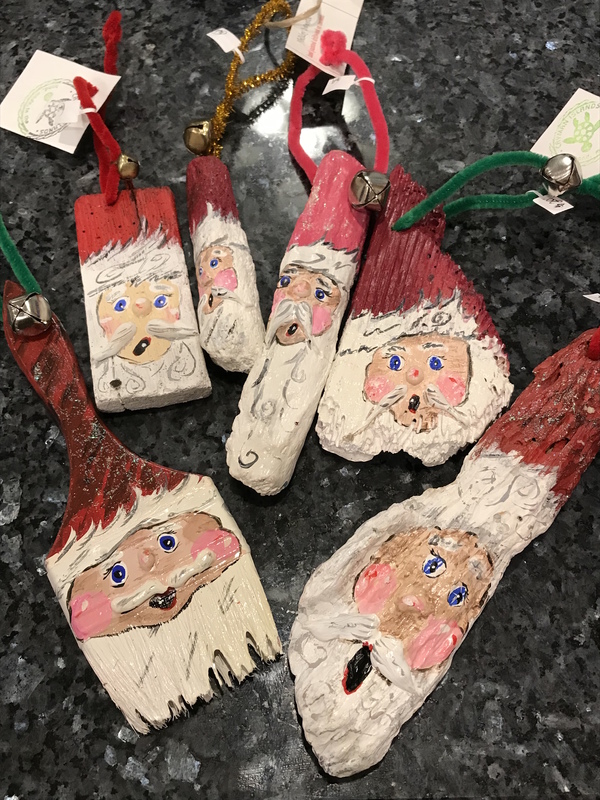 Get ready to the deck the halls with this island favorite holiday decor. A special limited edition up-cycled driftwood and paintbrushes hand painted by Gale. An ingenious way to stay true to the island vibes theme by utilizing natural materials found along any given walk along the beach, or utensils that can be repurposed into eco art. 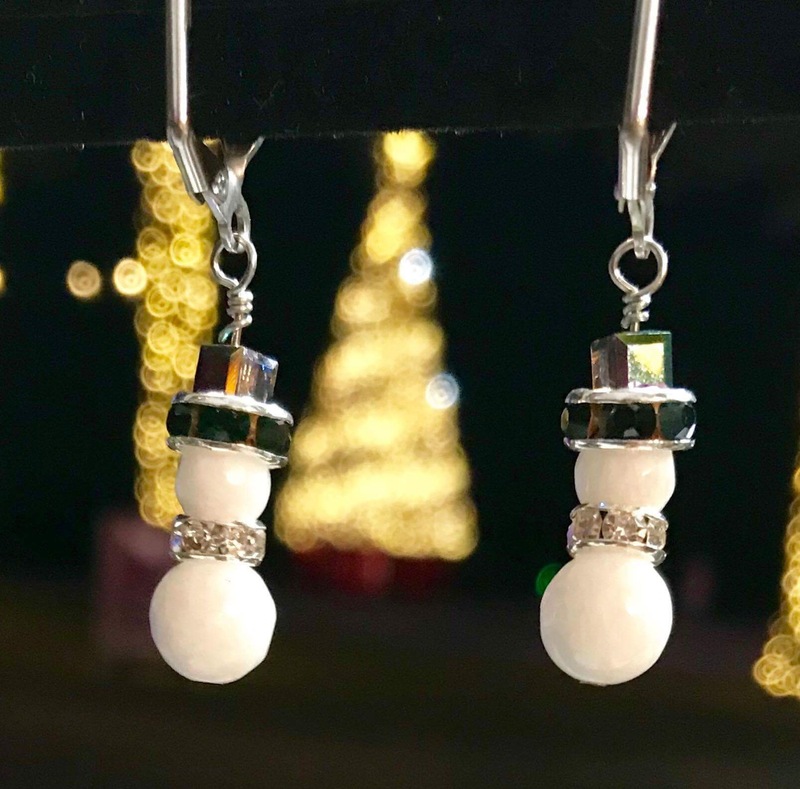 You can purchase these one-of-a-kind locally made and handcrafted pieces at Camana Bay Artisian Market on Wednesdays, or at Pure Art Gallery on South Sound, or Cayman Scents Boutique along 7 Mile beach near Wendy’s.